This is the 3rd post in a small mini series that I will be doing using Apache Kafka + Avro. The programming language will be Scala. As such the following prerequisites need to be obtained should you wish to run the code that goes along with each post. The other point is that I am mainly a Windows user, as such the instructions, scripts will have a Windows bias to them. So if you are not a Windows user you will need to find the instructions for your OS of choice. Last time we talked about how to create a Kafka Producer/Consumer which uses the KafkaAvroSerializer when using Avro data of a specific type. We also used the Kafka Schema Registry and had a tiny introduction as to what the Kafka Schema Registry was all about. This time we will be looking at the Kafka Schema Registry in a lot more detail. 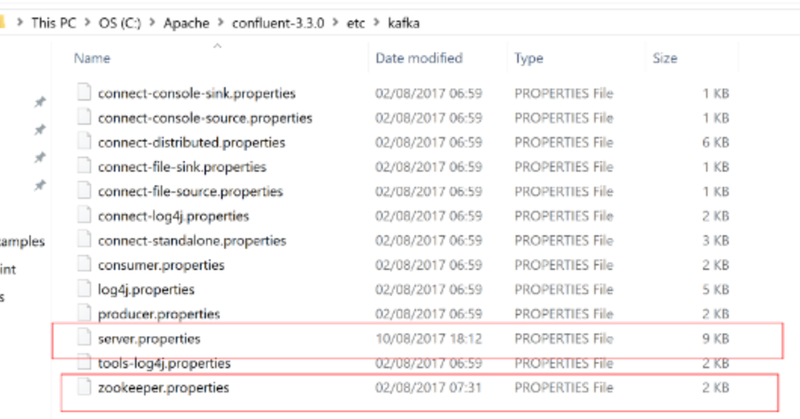 The idea behind the Schema Registry is that Confluent provide it as a service that exposes a REST API that integrates closely with the rest of the Kafka stack. The Schema Registry acts as a single store for schema metadata, in a versioned historical manner. It also provides compatibility settings that allow the evolution of schemas according to the configured compatibility setting. As we have already seen in the last post there are also serializers that are provided that work with the Registry and Avro format. 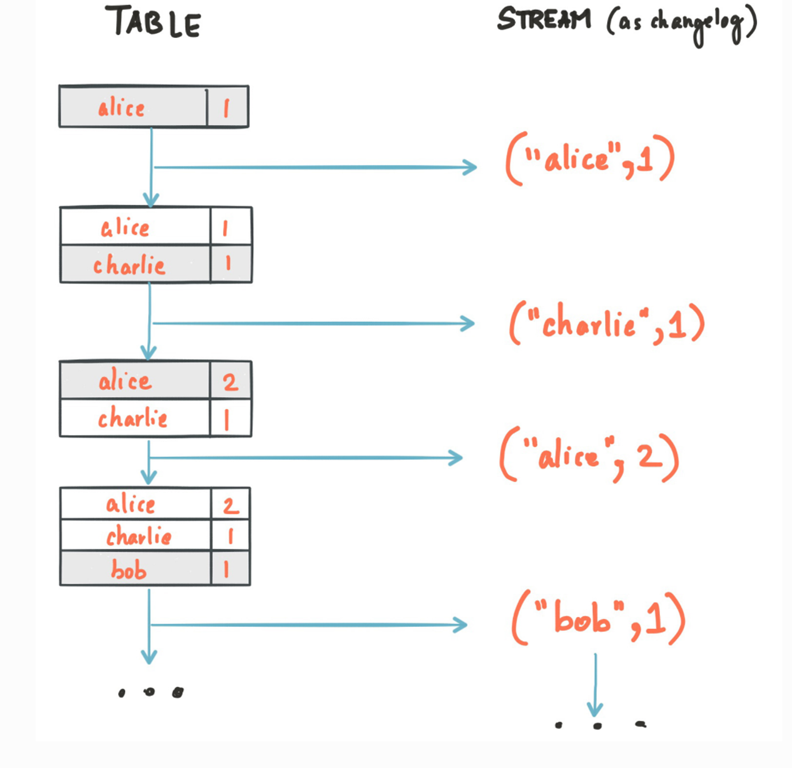 Thus far we have only seen a Producer/Consumer both of which use the KafkaAvroSerializer, but there is also a Serde (serializer/deserializer) available when working with Kafka Streams.Which we will talk about in the next post. You may be wondering just why you may want to use some sort of schema registry. Well have you ever found yourself in a situation where you store a JSON blob in a row in a database, and then later you make changes to the format of the original object that was used to store these historic rows. Then you find yourself in the unenviable position of no longer being able to easily deserialize your old database JSON data. You need to either write some mapping code or evolve the data to the latest schema format. This is not an easy task, I have done this by hand once or twice and its hard to get right. This is the job of the Kafka Schema registry essentially. It’s a helping/guiding light to help you traverse this issue. Assigns globally unique id to each registered schema. Allocated ids are guaranteed to be monotonically increasing but not necessarily consecutive. The Schema Registry is designed to be distributed, with single-master architecture, and ZooKeeper/Kafka coordinates master election (based on the configuration). Backward compatibility (default): A new schema is backwards compatible if it can be used to read the data written in the latest (older) registered schema. We can evolve this schema into this one, where we supply a default location. This allows data encoded with the old one to be read using this new schema. This is backward compatible. If we had not of supplied this default for ”location” this would no longer be backward compatible. Forward compatibility means that data encoded with a newer schema can be read with an older schema. This new schema is also forward compatible with the original schema, since we can just drop the defaulted new field “location” when projecting new data into the old. Had the new schema chosen to no longer include “age” column it would not be forward compatible, as we would not know how to fill in this field for the the old schema. Ok so I think that gives us a flavor of what the Schema Registry is all about, let’s carry on and see some code examples. As I stated above you will need to download a few things, but once you have those in place you may find the small PowerShell script useful that is inside the projects called “RunThePipeline.ps1”. This script does a few things, such as cleans the Kafka/Zookeeper logs, stops any previous instances, starts new instances and also creates the Kafka topic (which you must have before you can use the code). Since we worked with the Schema Registry and a Kafka Producer that made use of the Registry in the last post, I thought it might a good idea to make some changes to the publisher of the last post, to see if we can create some compatibility tests against the Schema Registry that the Producer is using. So since the Kafka Producer is setup to use the Kafka Schema Registry and is sending Avro using the KafkaAvroSerializer for the key, we start with the 1st schema (User Schema) shown above being the one that is registered against the Kafka Schema Registry subject Kafka-value (we will see more of the Registry API below for now just understand that when using the Schema Registry a auto registration is done against the topic/value for the given producer, on the 1st one to use the topic being the one that sets these items for the Registry). We then try send some User With Boolean Id Field Schema data, which we expect to be NOT acceptable/incompatible with the User Schema already registered in the Kafka Registry. This is due to the fact we have changed the Id field into a boolean, where the already registered User Schema expects this field to be an “int”. So does it fail? 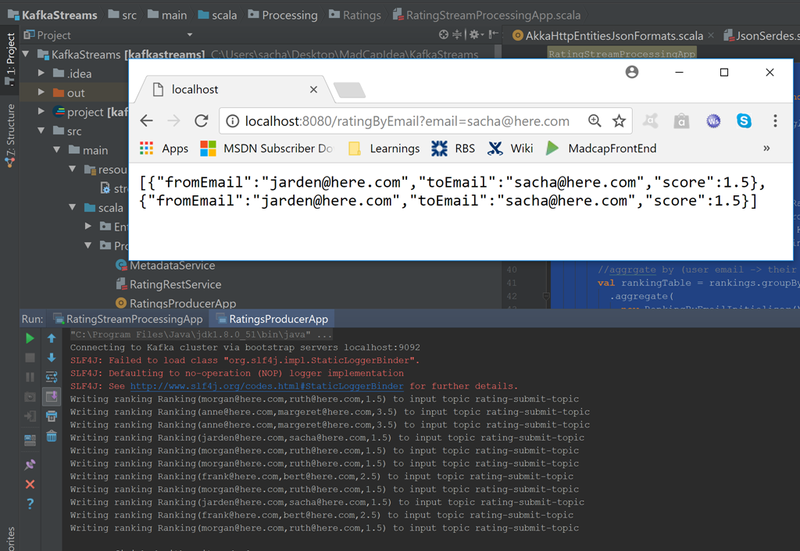 We then try send some Completely Different Object With String Id Field Schema data, which we expect to be NOT acceptable/incompatible with the User Schema already registered in the Kafka Registry. This is due to the fact we have changed the Id field into a string, where the already registered User Schema expects this field to be an “int”, and we have also omitted a required “name” field in this new type. Ok so that gives us a glimpse of what it’s like to work with the Kafka Producer and the Schema Registry. But surely there is more we can do with the Schema Registry REST API that is mentioned above? Well yeah there is, we will now look at a second example in the codebase which will try a few more Schema Registry REST API calls. I have chosen to use Akka Http for the REST API calls. //  # Register a new version of a schema under the subject "Kafka-key"
//  # Register a new version of a schema under the subject "Kafka-value"
//  # List all schema versions registered under the subject "Kafka-value"
//  # Fetch version 1 of the schema registered under subject "Kafka-value"
//  # Deletes version 1 of the schema registered under subject "Kafka-value"
//  # Register the same schema under the subject "Kafka-value"
//  # Deletes the most recently registered schema under subject "Kafka-value"
//  # Check whether a schema has been registered under subject "Kafka-key"
//  # Test compatibility of a schema with the latest schema under subject "Kafka-value"
//  # Update compatibility requirements under the subject "Kafka-value"
//  # Deletes all schema versions registered under the subject "Kafka-value"
So last time we came up with a sort of 1/2 way house type post that would pave the way for this one, where we examined several different types of REST frameworks for use with Scala. 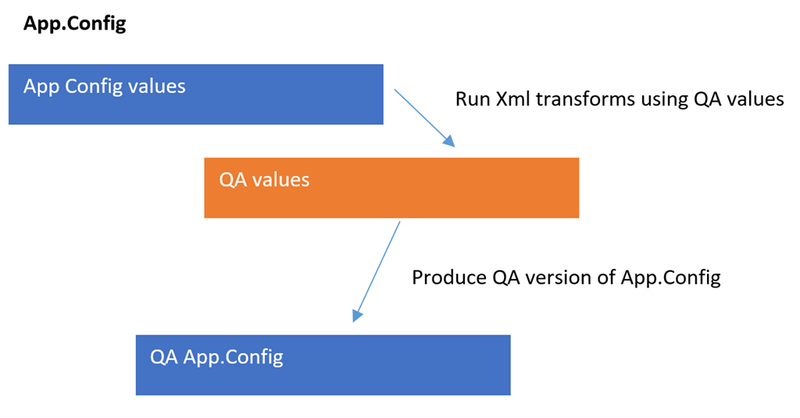 The requirements were that we would be able to use JSON and that there would be both a client and server side API for the chosen library. For http4s and Akka Http worked. I decided to go with Akka Http due to being more familiar with it. Ok so now that we have the introductions out of the way, lets crack on with what we want to cover in this post. Before we start, what is this post all about? The ratings will be placed into streams and aggregated into permanent storage, and will be available for querying later to display in the react front end. The rating should be grouped by email, and also searchable via the use of an email. So all we need to do is change to the directory that the RunPipeline.ps1 is in, and run it. WriteHeader "STARTING NEW SERVICE INSTANCES"
WriteHeader "KILLING PROCESSES CREATED BY SCRIPT"
$zookeeperCommandLine = $global:kafkaWindowsBatFolder + "zookeeper-server-stop.bat"
Write-Host "> Zookeeper Command Line : $zookeeperCommandLine`r`n"
$kafkaServerCommandLine = $global:kafkaWindowsBatFolder + "kafka-server-stop.bat"
Write-Host "> Kafka Server Command Line : $kafkaServerCommandLine`r`n"
$zookeeperCommandLine = $global:kafkaWindowsBatFolder + "zookeeper-server-start.bat"
$arguments = $global:kafkaWindowsBatFolder + "..\..\etc\kafka\zookeeper.properties"
Write-Host "> Zookeeper Command Line : $zookeeperCommandLine args: $arguments `r`n"
$kafkaServerCommandLine = $global:kafkaWindowsBatFolder + "kafka-server-start.bat"
$arguments = $global:kafkaWindowsBatFolder + "..\..\etc\kafka\server.properties"
Write-Host "> Kafka Server Command Line : $kafkaServerCommandLine args: $arguments `r`n"
$kafkaCommandLine = $global:kafkaWindowsBatFolder + "kafka-topics.bat"
$arguments = "--zookeeper localhost:2181 --create  --replication-factor 1 --partitions 1 --topic $topic"
Write-Host "> Create Kafka Topic Command Line : $kafkaCommandLine args: $arguments `r`n"
$mongoexe = $global:mongoDbInstallationFolder + "mongod.exe"
Write-Host "> Mongo Command Line : $mongoexe `r`n"
Write-Host -NoNewLine "Press any key to continue....`r`n"
Write-Host "Killing Process : $name `r`n"
I would STRONLY urge you all to read the section of the official docs above, as it will really help you should you want to get into Kafka Streams. Anyway with all that in mind how does that relate to the use case we are trying to solve. So far we have a publisher that pushes out Rating objects, and as stated ideally we would like to query these across all processor nodes. As such we should now know that this will involve a KStream and some sort of aggregation to an eventual KTable (where a state store will be used). Probably the easiest thing to do is to start with the code, which looks like this for the main stream processing code for the Rating section of then final app. // Always (and unconditionally) clean local state prior to starting the processing topology. // data from the Kafka cluster over the network. // (e.g., the presence of a command line flag for your app). // See `ApplicationResetExample.java` for a production-like example. Remember the idea is to get a Rating for a user (based on their email address), and store all the Rating associated with them in some sequence/list such that they can be retrieved in one go based on a a key, where the key would be the users email, and the value would be this list of Rating objects.I think with the formal discussion from the official Kafka docs and my actual Rating requirement, the above should hopefully be pretty clear. So now that we have gone through how data is produced, and transformed (well actually I did not do too much transformation other than a simple map, but trust me you can), and how we aggregate results from a KStream to a KTable (and its state store), we will move on to see how we can use Kafka interactive queries to query the state stores. One important concept is that if you used multiple partitions for your original topic, the state may be spread across n-many processing node. For this project I have only chosen to use 1 partition, but have written the code to support n-many. I think this diagram does an excellent job of showing you 3 separate processor nodes, and each of them may have a bit of state. ONLY be assembling ALL the data from these nodes are we able to see the ENTIRE dataset. * has the provided store. * store and would have the given key if it exists. This metadata service is used to obtain the state store information, which we can then use to extract the state data we want (it’s a key value store really). I have found the journey to get here an interesting one. The main issue being that the Kafka docs and example are all written in Java and some are not even using Java Lambdas (Java 1.8) so the translation from that to Scala code (where there is lambda everywhere) is sometimes trickier than you might think. The other thing that has caught me out a few times is that the Scala type system is pretty good at inferring the correct types, so you kind of let it get on with its job. But occasionally it doesn’t/can’t infer the type correctly, this may happen at compile time if you are lucky, or at run time. In the case of a runtime issue, I found it fairly hard to see exactly which part of the Kafka streams API would need to be told a bit more type information. As a general rule of thumb, if there is an overloaded method that takes a serde, and one that doesn’t ALWAYS use the one that takes a serde and specify the generic type parameters explicitly. The methods that take Serdes are usually ones that involve some sort of shuffling around within partitions so need Serdes to serialize and deserialize correctly. So as many of you know I came from .NET, where we have a simple config model. We have App.Config or Web.Config. 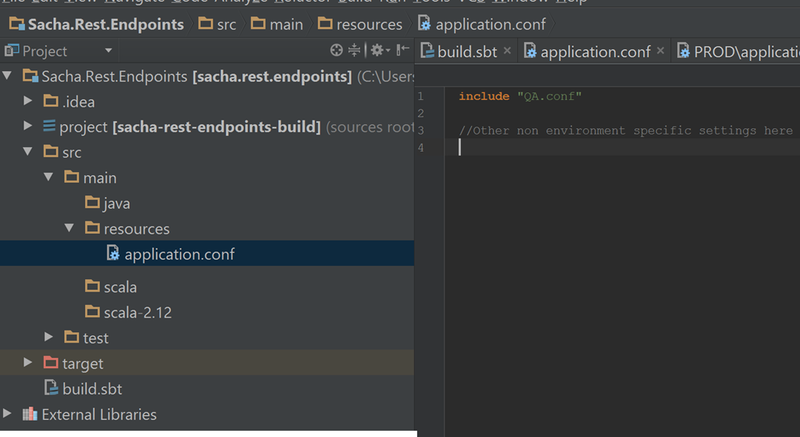 So the idea would be that we would have specific application.conf files for the different environments that we need to target (I am assuming there is some build process which takes care of putting the correct file in place for the correct build within the CI server). This is a very common way of thinking about this problem in .NET. But hang on here this is only 1 app, what if we had 100 apps that made up our software in total. That means we need to maintain all these separate config files for all the environments in ALL the separate apps. Wow that doesn’t sound so cool anymore. A colleague and I were talking about this in some scala code that was being written for a new project, and this is kind of what was being discussed. I should point out that this idea was not in fact mine, but my colleagues Andy Sprague, which is not something I credited him for in the 1st draft of this post. Which is bad, sorry Andy. 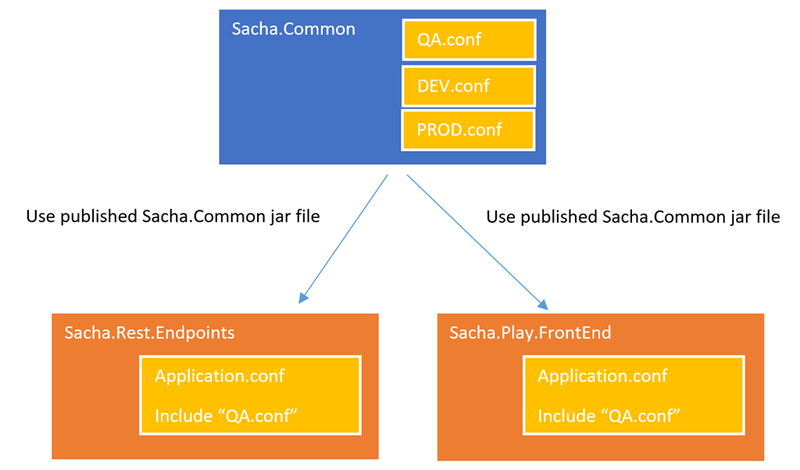 And then the individual apps that already reference the Sacha.Common JAR just include the environment config they need. I wish we could do this within the .NET configuration system. Last time I walked you through how to install Cassandra in the simplest manner possible. Which was as a single node installation using the DataStax community edition. All good stuff. So I have also just written up how you might use Scala/DataStax Cassandra/Spark connector, to allow you to retrieve data from Cassandra into Spark RDDs and Cassandra tables to be hydrated into Spark RDDs. These 2 Cassandra articles and the 1st Spark one kind of form a series of articles, which you can find using the series links at the top of the articles. A while ago I wrote about using Apache Spark, which is a great tool. I have been using Cassandra for a bit at work now, so thought it might be nice to revisit that artilcle and talk through how to use Spark with Cassandra. So how do we go about doing this with SBT? There are 5 main steps to do this. Which we look at in turn. 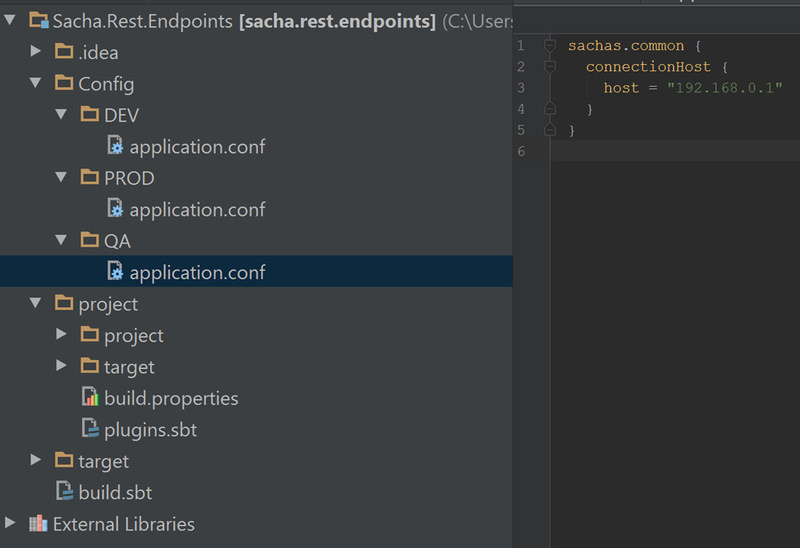 SachaSBTDemo.scala is what I have called the other file, but you can call it what you like. Here is the contents of that file, this is the main SBT file that governs how it all hangs together. I will be explaining each of these parts as we go. 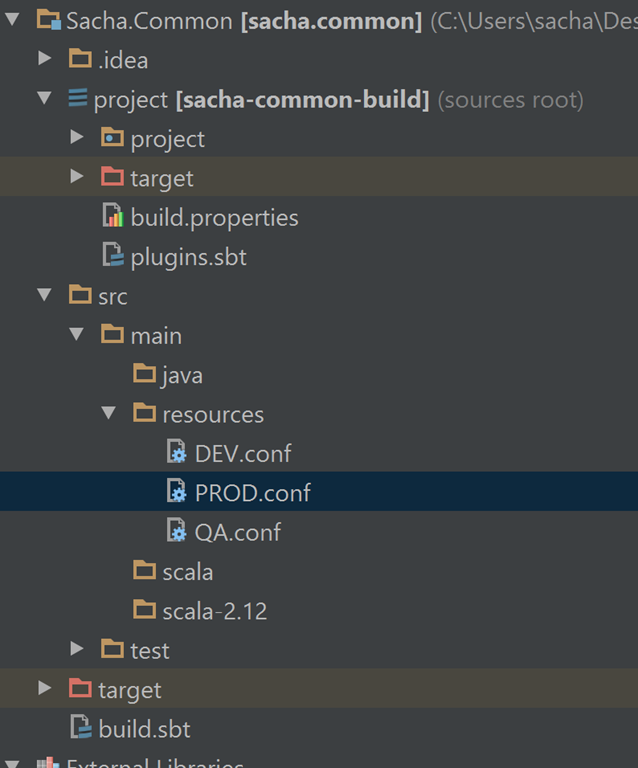 val scalatest = "org.scalatest" % "scalatest_2.9.0" % "1.4.1" % "test"
In order to have separate project we need to use the Project item from the SBT library JARs. A minimal Project setup will tell SBT where to create the new Project. 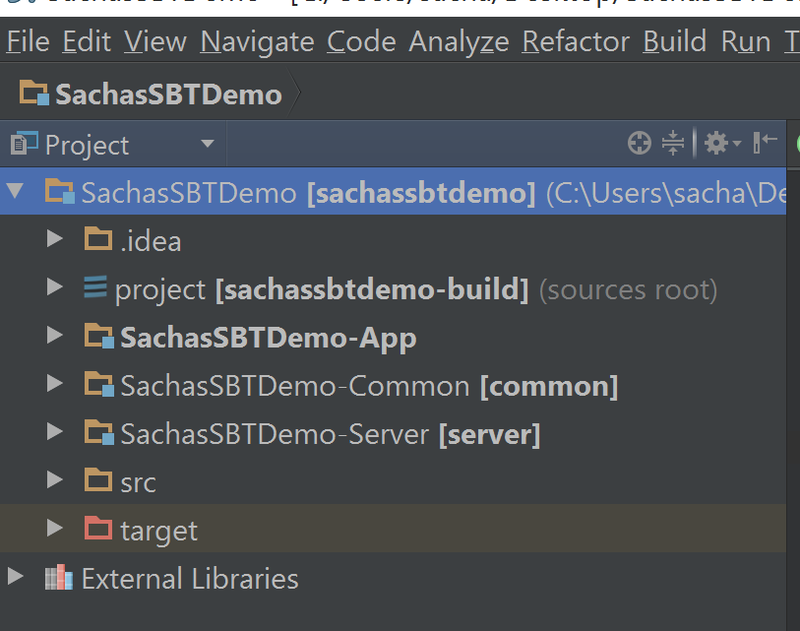 Here is an example of a Project, where the folder we expect SBT to create will be called “SachasSBTDemo-App”. We can also specify Project dependencies using “dependsOn” which takes a Seq of other projects that this Project depends on. That means that when we apply an action to the Project that is depended on, the Project that has the dependency will also have the action applied. We can also specify Project aggregates results from other projects, using “aggregate” which takes a Seq of other projects that this Project aggregates. What “aggregate” means is that whenever we apply an action on the aggregating Project we should also see the same action applied to the aggregated Projects. Just like the simple post I did before, we still need to bring in our JAR files using SBT. But this time we come up with a nicer way to manage them. We simply wrap them all up in a simple object, and then use the object to satisfy the various dependencies of the Projects. Much neater.